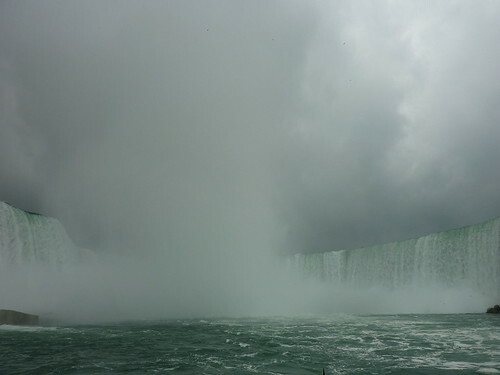 I'd not been to Canada for over a decade, and not to Niagara Falls for almost two, so I was interested to see if they were as powerful as I remembered. 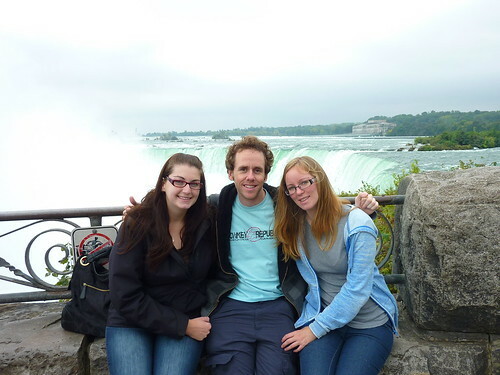 My cousin Kathrine picked us up from the airport and took us back to her place in Guelph in the evening. A spot of food at Ben Thanh (a local Thai/Vietnamese place) saw us through to the morning, and we were raring to head over to see the Falls. 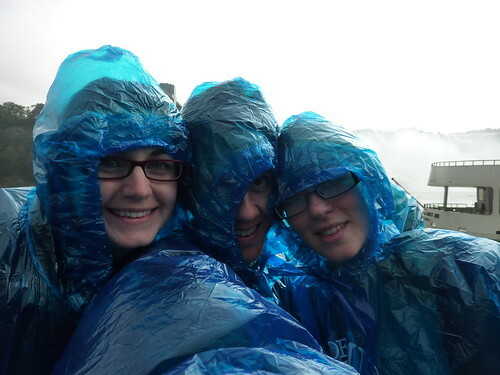 Niagara is an incredibly tourist-centric place, more so than I remember as an eleven-year-old. 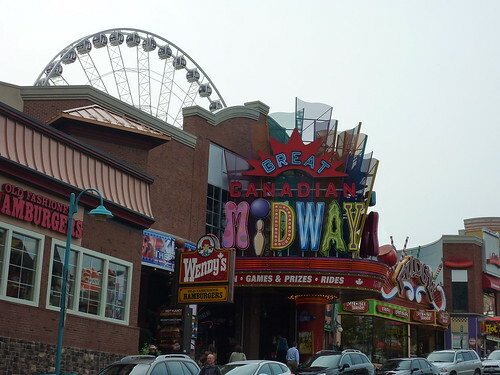 It has amusement arcades, ghost houses, souvenir shops and fairground rides covering almost every square inch of the centre. 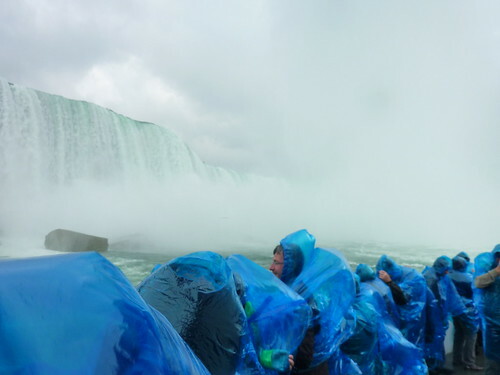 If the Falls weren't there, you could be forgiven for thinking you were wandering through Blackpool. Yet, they are, and they are amazing. 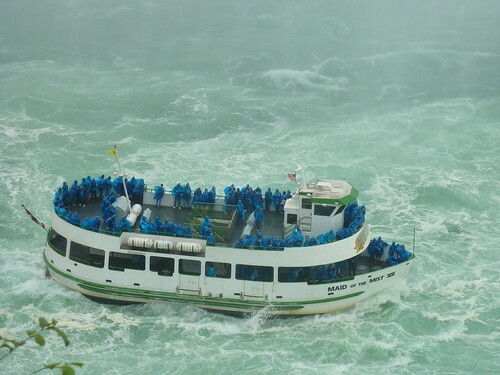 Also still present was The Maid of the Mist, a boat which takes you right up to the base of the Falls. 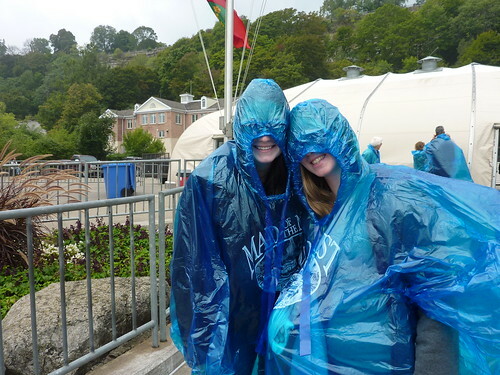 One of my remaining memories of the place was getting soaked on this boat, so we obviously had to do it again. Preparation is everything. It's only when you're actually on the boat and heading towards them that you appreciate just how powerful (and noisy!) 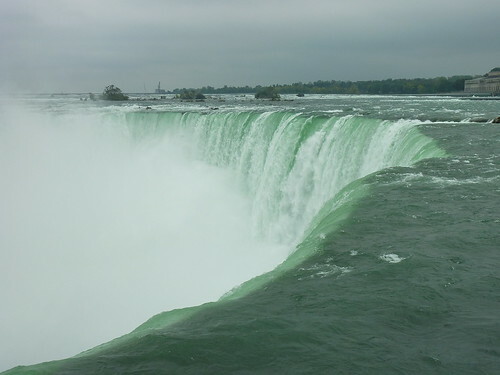 the Falls are. 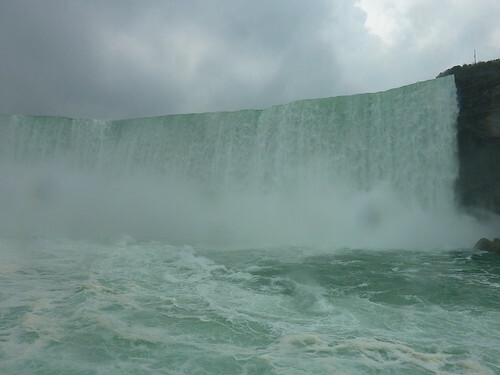 The Horseshoe Falls on the Canadian side (which is more scenic than than the US Falls) is 167 feet high and dumps over 2 million litres of water down every second, and when you're bobbing around in a boat you can really feel it. 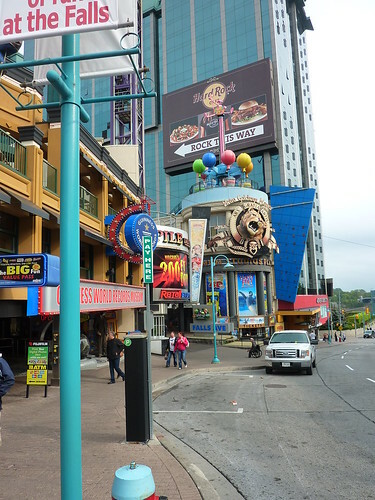 After our drenching we had some food at Boston Pizza and then decided to hit the casino, as all budget-conscious backpackers should do. I think I was annoyed that I hadn't done better when we went to Vegas, but luck was with me this time as I hit the blackjack table and managed to come away $50 better off. It was an odd experience, as the place was almost deserted and the dealer was basically advising me what to do for each hand. Perhaps he just wanted someone to talk to. That evening, Kathrine, her fiancé Glenn, and the two of us sat and watched Lockout. It was a random sci-fi thriller which wasted an otherwise excellent Guy Pearce. However, it was great to spend time with a cousin I very rarely get to see. 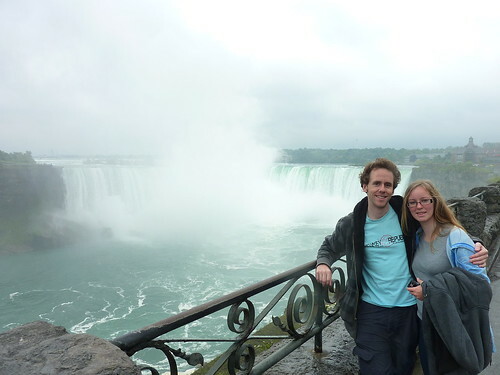 We were going to Toronto the next day to spend some time with Patrick and Cayleigh - a couple we met in Vietnam who had kindly offered to put us up for a few days. They were the fourth couple we'd met on the road who hosted us later on in our trip - the generosity of strangers is one of the most wonderful things you can experience whilst travelling.